Good news everyone – you can now download macOS High Sierra final version on your Mac. We have the direct Mac App Store download link. 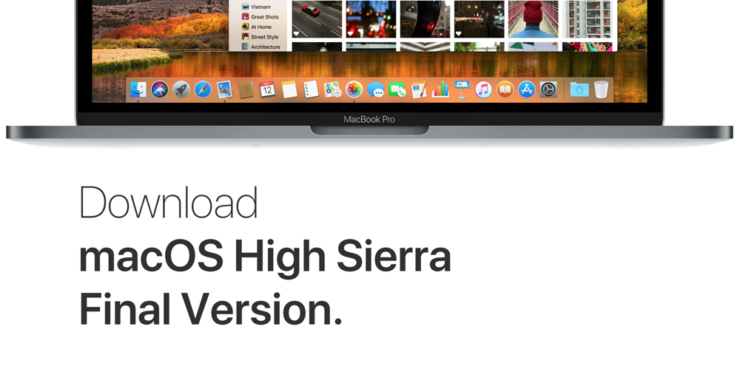 Download: macOS High Sierra Final Version Arrives for Compatible Mac Users Around the World, Packed with New & Wonderful Technologies. Announced at WWDC 2017, macOS High Sierra is finally available to download for everyone. But the best thing about this release is that if your Mac can run macOS Sierra, then you can upgrade to High Sierra as well. macOS High Sierra is packed with a bunch of new features and technologies that are bound to improve the overall experience for the user. For starters, Apple is finally bringing its new filesystem to the Mac, called APFS. It’s tailor-made for flash-based storage, which is more secure and improves performance when it comes to certain tasks. There’s also support for HEVC video, allowing you to stream or view content that’s almost half the size compared to H264 but offers the same video quality. 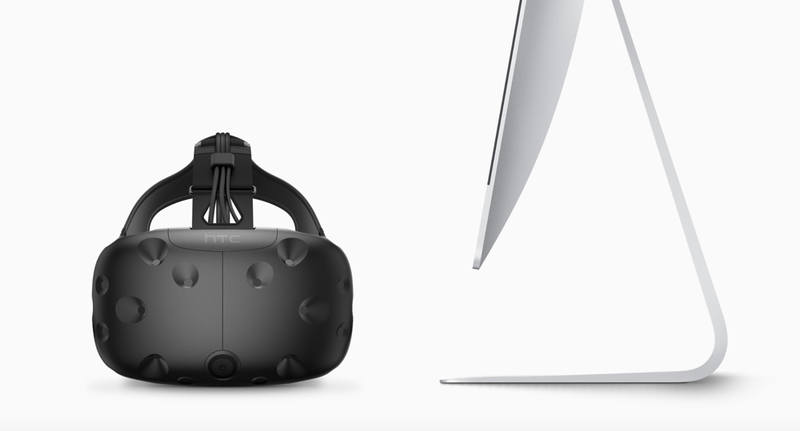 This is a huge deal considering many users generally opt for the base storage model of the Mac. Apple has also baked in Metal 2, allowing developers to take even more advantage of the built-in GPU, resulting in faster animations and other graphic extensive tasks. Speaking of graphics, there’s support for external GPUs as well. But of course, you need to buy an external graphics enclosure for your Mac in order to make it work, and this is something that is not compatible with every Mac since it requires a Thunderbolt 3 connection. There are a ton of other changes under the hood as well which we’d recommend that users explore on their own. 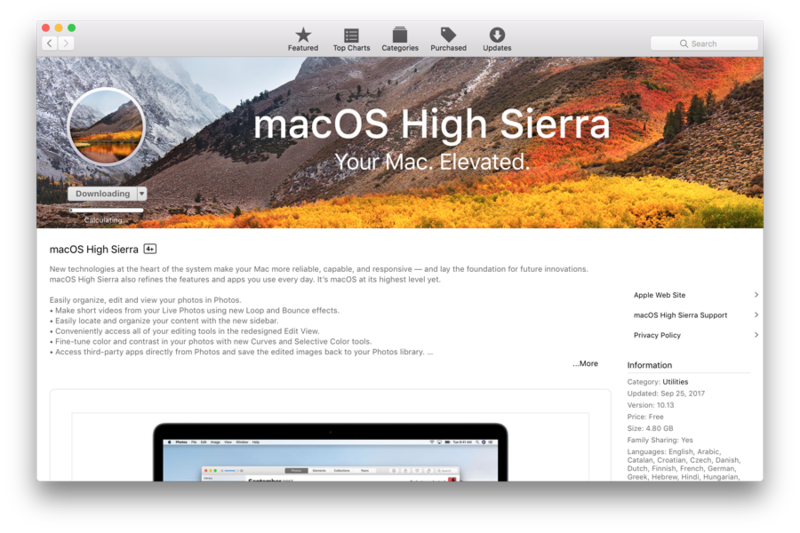 If you wish to download macOS High Sierra right now on your Mac, then simply click on the link below and you’ll be taken straight to the Mac App Store for download. Install macOS High Sierra. Tutorials. Before you go ahead with the download, do take a moment to consider which route you wish to take in order to install macOS High Sierra. You can download the update over the air, while retaining your files and settings, or you can perform a clean install, giving your Mac a fresh new feeling. Regardless of which route you end up taking, we have the complete step-by-step guides linked below, including one to create a USB installer, if you so wish.